I’ll admit it, I am a bit of a sucker for older, out of style, usually no longer brewed styles of beer. There is just something about hearing of a beer that was brewed in the 1600’s or whenever, and is no longer brewed anywhere, commercially, that makes me want to brew it. Especially if its a smoked beer. One such style comes from the land of Poland. Grodziskie, as it is called, was last brewed commercially in 1993, but had been a popular style throughout Poland for hundreds of years before this. I first heard of this particular style on the Beer Smith Podcast here . This beer was relatively small, not much more than 3.5 – 4.0% ABV, and was made with 100% wheat, which was smoked with oak wood. It was light, dry, smokey, with a moderate hopping rate in proportion with its size. Pretty much all things up my alley. Grodziskie was originally named after a town in Western Poland, Grodzisk Wielkopolski, and has seen a bit of a resurgence amongst homebrewers. During WWII, after the Germans had occupied Poland, they actually changed the name of Grodzisk to Grätz, thus changing the name of the beer produced there to Grätzer. Eventually,Grätz was changed back to Grodzisk after the war, and all was right with the world once again. Now, Grodziskie can go by either name, Grodziskie and/or Gratzer, but I don’t want to support any kind of force-able invasion for ultimate, world-wide power. Grodziskie it is. For my Grodziskie recipe, I decided to use… you guessed it… Oak-Smoked Wheat. However, I decided to add some malted Spelt in there for a little something “extra”, while still sticking with a wheat-type malt. Spelt is an ancient ancestor of modern wheat. I used Saaz hops, which would have been traditional for the region. German Hallertau, Tettanger, or Polish Lublin hops would also work well if Saaz is not immediately available. For yeast, I had to get a little “interpretive” with things, as I have no way of getting my hands on some Polish Yeast. I decided to go with a Saison strain, which would help dry the beer out, and will hopefully leave some spicy/tart notes in there. This may or may not compliment the smokiness from the malt, we’ll see. 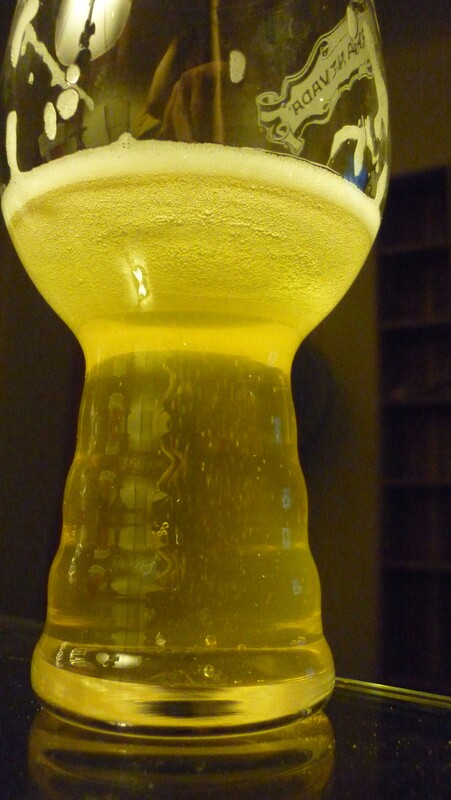 Specifically, Wyeast 3711 French Saison. 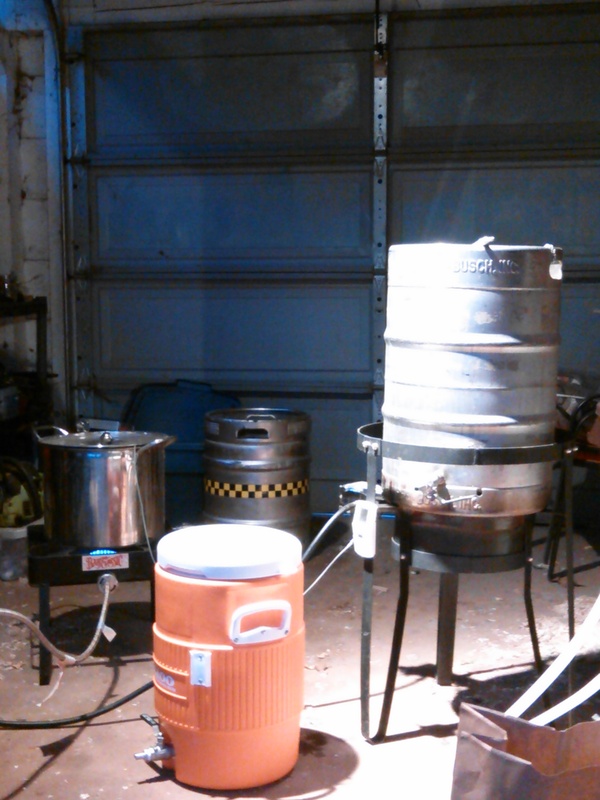 Brew day went suspiciously smooth, and relatively quick. Not sure what the hell happened. The wort smelled very interesting with the smoke very noticeable, but not overpowering. Very pale yellow in color, moderate turbidity. Taste of sample was pleasantly smooth. Having never tasted an oak-smoked beer before, not entirely sure what to be honing in on, but the smoke is light, not overpowering, and more on the back end. I was expecting a little more smokey character, but this is tasty nonetheless. Cannot wait to try this once it has been carbonated and bottle conditioned for a bit.